SUMMER is on the way and this year the on-trade will hopefully benefit not just from an improvement in the weather but also from this summer’s World Cup. And with the anticipated increase in footfall, a good bottled beer offer has been held up by those in the know as one way to keep customers happy over the coming months. 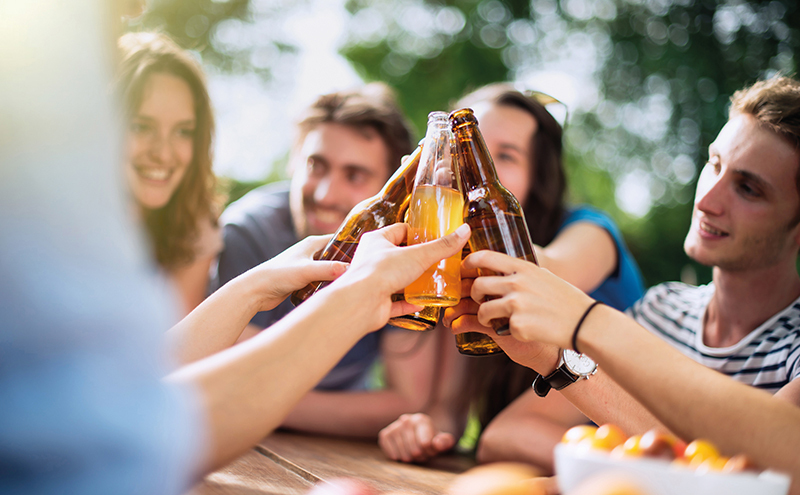 “In general bottled beers become more popular in summer; the lower volume and chilled bottle means that the liquid is more likely to remain at optimum temperature,” said director of sales and marketing at Keith Brewery, Andrew Chapman. “International tournaments like the World Cup allow you to push brands and international beers that you may not generally stock. Plus the consumer is likely to be open to trying new products when pushed correctly. Jerry Shedden, category and trade marketing director at Heineken UK, reinforced that view and said outlets can increase demand for bottled beers in the summer by offering buckets of bottled beer “to drive speed and ease of service, especially when consumers are going a little further to and from the bar”. In order to make the most of the world’s biggest sporting occasion, it’s essential to make sure it’s marketed well to a pub’s clientele, according to Josh Spooner, Guinness activation executive for Diageo GB, which has extended its Open Gate Brewery bottled beer range with two new additions. “Licensees can inspire customers by shouting about fixtures with promotions in outlet and with the help of social media ahead of matches,” said Spooner. While acknowledging that selling a selection of packaged beer in a bucket will be a popular move with many operators to speed up service at busy bars, Richard McLelland, William Bros Brewing Co’s director of sales and marketing, said the “real opportunity comes through additional bottle bars located in the beer garden”. “This eliminates an unnecessary trip to the bar for pints that will be half spilled by the time [customers] negotiate their way back to their outside seat, if someone hasn’t already stolen it while they were at the bar,” he said. Another increasingly popular way to sell more bottles of beer this summer, and promote a good selection of packaged beer is, by pairing different beers with appropriate dishes, said Anders Kissmeyer, brewmaster at Theodor Schiøtz Brewing Company, producer of Polar Monkeys Blue Collar Amber Lager. He said: “One of the trends we are beginning to notice when it comes to beer consumption, particularly on-trade, is the desire to match beer and food. “As with wine, different beers suit different flavours and with the increase in craft batch brews, customers are increasingly looking for recommendations in this area. And while social media is often considered the most effective method of marketing drinks ranges to customers, in terms of advertising the selection, Graham Archibald of Morgenrot believes “the easiest and cheapest way for operators to promote their beer range is by having clear signage in bars so customers know when a new beer has arrived”.